The first thing to note about World of Warcraft: Dawn of the Aspects is its format. All Blizzard Entertainment novels to date have been printed as Mass Market Paperback (pre-2008), or Hardcover. They are also sold as eBooks, and rarely but we also see them as audio books. 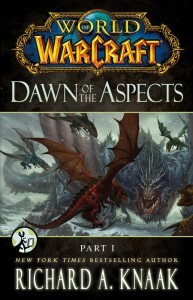 Dawn of the Aspects, however, is presented to Blizzard fans as a 5-part digital book. The very first eBook spun from Blizzard Entertainment was Diablo: Demonsbane by Robert B. Marks (currently reprinted in the pages of Diablo Archive ). Demonsbane originally saw low sales in 1999. The eBook market wasn’t that big then until Amazon launched Kindle, and later tablets boomed with the Apple iPad and other brands. Most recently we have seen Blizzard VP of Creative Design Chris Metzen and Flint Dille delve into the tablet market with IDW Publishing’s Transformers: Autocracy , which originally shipped as a 12-part digital comics. I am a Metzen fanboy … of course, I read all 12-issues. A year after, the 12-part digital comics was printed as a hardcover. Will this be the case with Dawn of the Aspects? We’ll have to find out a year from now. Their digital comics was so successful, they have teamed up to launch another 12-part Transformers: Monstrosity #1 (March 1, 2013). 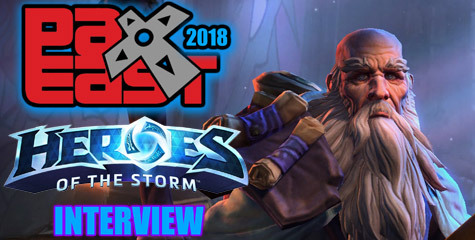 Is going digital-only a smart strategy for Blizzard Entertainment to introduce Dawn of the Aspects and new stories? The answer is complex to ponder and to analyze. I’ll go with the guts version. The lore fans out there love to read stories based on Warcraft, StarCraft and Diablo. However, we don’t always have the time to read through 318 pages when we have real life matters, daily quests, valor points to earn, and raid schedules to fulfill. So now we have Blizzard introducing yet another publishing format to how they present stories to the fans: A 5-part eBook. The tablet market is there, and lore fans most likely have a tablet, and those who don’t can still read this digital book on their internet browser. It takes less than 2 hours to read. 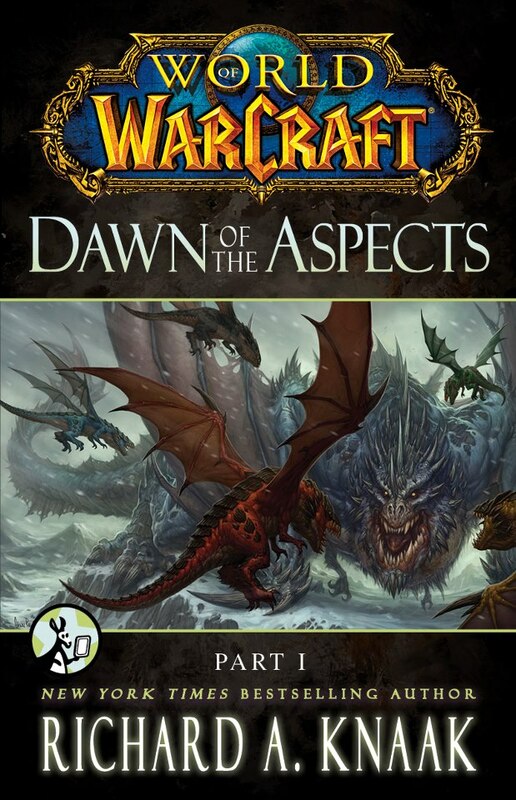 I just finished reading World of Warcraft: Dawn of the Aspects (Part 1). As I read the last page, I was left with this craving sensation that I have already experienced when reading a Marvel Comic Book. And what an amazing cliffhanger to end this first part of the story. I can’t wait for the second part to be available. In a desperate bid to defeat Deathwing at the Maelstrom, the dragon aspects lost their powers. With the primordial guardians of Azeroth neutralized, it’s now the Age of Mortals. The future of Azeroth now lies on mortal hands. What happened with the dragon aspects after the Fall of Deathwing, and why they aren’t present in Mists of Pandaria? Richard A. Knaak addresses this enigma in World of Warcraft: Dawn of the Aspects (Part 1 of 5). The blue dragonflight has disbanded and gone their separate ways to live as individuals. The shrines of the Wyrmrest Temple have no purpose now. The dragonflights are in disarray. However, it’s the one last meeting place the dragon aspects choose to talk about the present affairs. Merithra reports the nightmare stirs in the Rift of Aln (as seen in World of Warcraft: Stormrage.) Ysera says it’s a task only the druids may take care of. Something this story clearly marks in our minds is that the Wyrmrest Accord is no more. 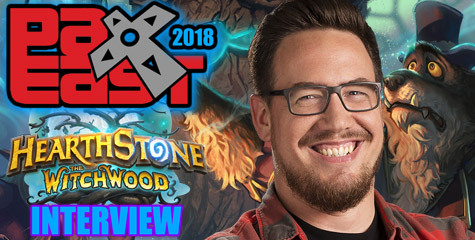 Nozdormu, Ysera and Alexstrasza don’t even acknowledge their former Aspect title. They are just like any other dragon. See no need to continue the accord. Richard A. Knaak briefly mentions some events from Christie Golden’s novel World of Warcraft: Jaina. The theft of the Focusing Iris. Khagdar has asked Kalec to join the Kirin Tor. 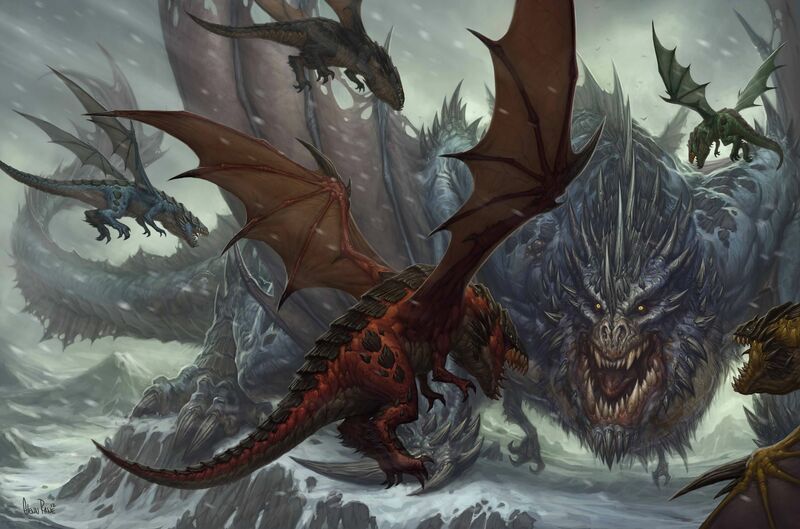 After the summit at the Wyrmrest Temple, the dragons convene to meet one more time a month from now to officially disassemble the Wyrmrest Accord. Moments after the meeting, Kalec senses something, and begins digging beneath Galakrond’s skeleton. An octagonal-shaped magical relic triggers Kalec to see through Malygos’ eyes in a distant era before the Titans blessed the Dragon Aspects. A time when they were mere proto-dragons roaming the skies, hunting food in the northern lands now known as Northrend. This first part of five, offers a pretty good tease of what one might expect throughout the story. The author shifts often to the far past, and then back to the present as Kalec awakens from his visions. Kalec witnesses the moment Malygos and Neltharion became blood brothers. There is another continuity nod from the Tokyopop manga titled “Warcraft Legends”. Kalec finds the spirit of Buniq (a female Taunka). She was Akiak’s mate in Taunka’le Village. She had come to Galakrond’s Rest in the manga where she met her demise. There is much more that will itch Warcraft lore fans’ curiosity and thirst for more. Undead proto-dragons that far back in the past of Azeroth? The octagonal-shaped relic turned out to be part of another bigger object that resembled a human-like hand. Red Herring alert!!! It’s not mentioned in this part what the hand belonged to, but lore fans might remember that early humans — the Azotha, had a legend of Tyr (WowWiki), who sacrificed his hand fighting against a great evil. Tyr replaced the lost hand with … a Silver Hand … as in the figure commemorated by the Order of the Silver Hand. In Wrath of the Lich King, one of the quests sends you to each of the temples high in the peaks. It’s revealed that Tyr was one of the Watchers of Ulduar, along with Freya, Thorim, Mimiron and Hodir. It’s wild speculation at this time, but this novel might be the way Blizzard Entertainment reveals more info about this obscure character responsible for the guidance and protection of the early Azotha (Human tribe). 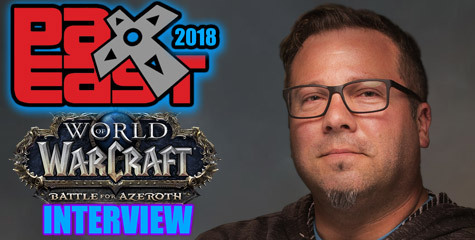 Going this far back in time, there is a pretty chance we might get to hear about the Titans, Yogg-Saron and the Watchers of Ulduar, the Nerubians and the Curse of Flesh? Only time will tell. Each part of this novel will be released in a monthly basis. So stay tuned for the next installment. If I were you, I’d keep a close eye to this 5-part series. Read World of Warcraft: Dawn of the Aspects: Part I now. When ordering, choose the Kindle Cloud Reader to read over Firefox or other internet browser. Or download the Free Reading Apps for iPad/iPod/iPhone, BlackBerry, Mac, and Android. Note: Recently, I asked Micky Neilson whether this story involves more details of the Titans, Yogg-Saron and Tyr. His response here. Was that a yes?! Spoilers over at the Scrolls of Lore forums.